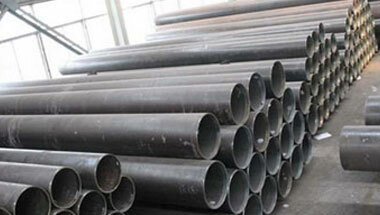 We are Manufacturer & Exporters of Carbon Steel ASTM A333 Low Temperature Pipe, Carbon A333 Gr.6 Low Temperature ERW Pipe, A333 Grade 1 Low Temperature Welded Pipe Supplier in India. With the support of a team of skilled experts, we are influential in manufacturing and exporting ASTM A 333 Gr.1 Gr.6 Low-Temperature Carbon Steel Pipes & Tubes. These pipes & tubes are manufactured in accordance with current industrial standards by utilizing advanced machinery and finest quality steel, high grade raw materials to offer high durability and long service life. A333 PIPE SPECIFICATIONS ASTM A333 Grade 6 Low Temperature Pipe 10 through 160, STD, XH and XXH Scope ASTM A333 Grade 6 Low Temperature Pip. ASTM A333 covers nominal (average) wall seamless and welded carbon and alloy steel pipe intended for use at low temperatures. These ASTM A 333 Gr.1 Gr.6 Low-Temperature Carbon Steel Pipes & Tubes find application in diverse areas such as petrol, chemical, fertilizer, refineries, heavy engineering industries, shipping, power plants, boiler, and atomic research institute. ASTM A333 Low Temperature Pipe, A333 Gr 1 Carbon Low Temperature Seamless Tubes, A333 Low Temperature ERW Pipe, ASTM A333 Gr 6 Seamless Carbon Pipes Manufacturer in India.